But here's the deal, hope without a plan of action leads to disappointment and frustration. With college on the line, stakes are too high to leave to luck. Here are 3 things we can do to set our rising 9th graders up to have their own headline-worthy college story four years from now. You Can Do Anything is part of Plan. Succeed. High School Edition, a series of summer workshops where Houston Area students learn the organizational skills and habits to be successful in high school and college. I was reading the Houston Business Journal and came across an interview with Houston billionaire Tillman Fertitta. The interviewer asked Fertitta, what is one of the biggest mistakes small business owners make, and his response made me think of one of the unintentional lies we tell our kids. Fertitta said one of the biggest mistakes he’s seen is "Not knowing your strengths and your weaknesses. You have to know your strengths and weaknesses. If you don’t have a particular strength, you need to go out and replace that." From the time our kids are wee ones, we tell them they can do anything if they work hard enough at it, and no where does this come back to bite them harder than in high school. In high school, kids know the stakes are high, but they aren’t always clear on how to best leverage their time and energy to get the best results. So what do they do? They take all of the AP courses. The study until the wee hours of the morning, pumping their bodies with caffeinated energy drinks to put off their bodies’ demand for sleep and to sustain their waning focus. They do this extracurricular activity and that one, largely to pad their college resumes. And with all of their efforts, they expect what we’ve told them to be true: that if they just work hard, they can do it all. But the reality is, they can’t. Nobody can. And if our kids don’t acknowledge this, they learn a tough lesson the first time they study all night for a biology test only to earn a C or worse yet an F for their efforts. Our kids dissolve into a million pieces, feeling like ultimate failures, lamenting their damned GPAs. So what do we do? We hire tutors in hopes that they’ll continue to work harder and maybe a little smarter. While this may help them get a better grade on the next test, it does not teach our kids one of the most important life lessons: “You can do anything, but not everything.” (David Allen, LifeHacker) At the intersection of our strengths, skills and interests, lies our greatest contribution. Trying to do and be everything prevents us from focusing on the most important, most impactful things, exhausting our resources, and ultimately preventing us from feeling like we add any measure of value anywhere. Know your strengths and use them daily: There is no better work than work that allows us to use our strongest skills. No, everything in life won’t be easy, but how many self-help and books on leadership on the best-seller lists deal with saying ‘no’ to things that don’t align with your strengths and core values? Rather than setting our children up to have to unlearn this self-sabotaging belief that they have to say ‘yes’ to everything to get ahead, let’s teach them to how to lean into their strengths. Know your weaknesses: You have them. I have them. Your kids weaknesses don’t make you a failure, but spending countless hours trying to make your weaknesses strengths takes energy and focus away from the things you are good at. It’s exhausting and a waste of your personal resources. Resolve and have a specific plan to be good enough in your weak areas: This is a two-part deal: resolve and have a plan. Just because you have weaknesses doesn’t mean you shrug your shoulders and say, “Well, I’m just not good at that.” No, it means you do whatever you can to be good enough so that your weakness isn’t a detriment to your overall goals. Commit to attending tutorials with the teacher once a week (resolve) to review your notes and make sure you’ve honed in on the key takeaways (specific plan). Commit to spending 5 minutes every night (resolve) reviewing the previous day’s work, previewing the next day’s work and writing 1-2 questions that you have from the preview (plan). Or better yet, connect with someone whose strength is in your weak area, someone who breaks things down in a way you understand, and have a Sunday check-in to review and preview. This works best if it is mutually beneficial and you lend your strengths to minimize the impact of their weaknesses. And just to be clear, all of these options require work. None of these provides our kids an excuse to coast. Instead, they teach kids to dig into things that really matter to them, be aware of and accept their sore spots, and ultimately be more strategic about how they allocate their personal resources without compromising their personal and academic development and long term opportunities. As you prepare to send your son or daughter into the throws of high school, think about how you can share these lessons with them now, before the weight of needing to be perfect stifles their ability to make forward progress. Redefining perfection is one of the most important things we can do to help our kids to have a happy, successful life. Perfection doesn’t mean perfect. Perfection means constantly learning. It means making something useful out of one’s imperfect experiences. It’s messy. It’s hard. And it’s necessary for success. Where are my entering high school parents? I can’t think of a more meaningful opportunity to coach your child through the decision-making process than in that of choosing a high school. By 8th grade, our kids have begun to shed their “child” skin and have had enough life experiences (no, seriously) to be reflective. With a little coaching, they can figure out who they are, what they are and aren’t good at, what kind of people they want to be, and at the very least which subjects and teaching styles capture their interest. Having them reflect on their developmentally intense middle school years to identify what they think they need from a high school is a magnificent exercise in being self-aware and using that knowledge to drive one’s decision-making. For many, this is the first opportunity kids have to make a semi-high stakes decision. In the same way that we walk beside and hold the back of our kids’ bikes when they are learning to ride, so too should we stand beside them as they learn how to make important decisions. Engaging 8th graders in the school selection process is the training wheel version of what they will have to do with the higher stakes decision of choosing a college. One of the most important things we can teach our children is to be self-aware and self-advocating, and they can’t become those two things without our teaching them how to assess where they are (their strengths and areas for development), decide where they want to be, articulate what they think it will take to get there, and ultimately act on their findings. Not only are these the most essential steps in finding a school, they also happen to be critical to setting personal goals and making strategic decisions–a skill set that will last them a life time. 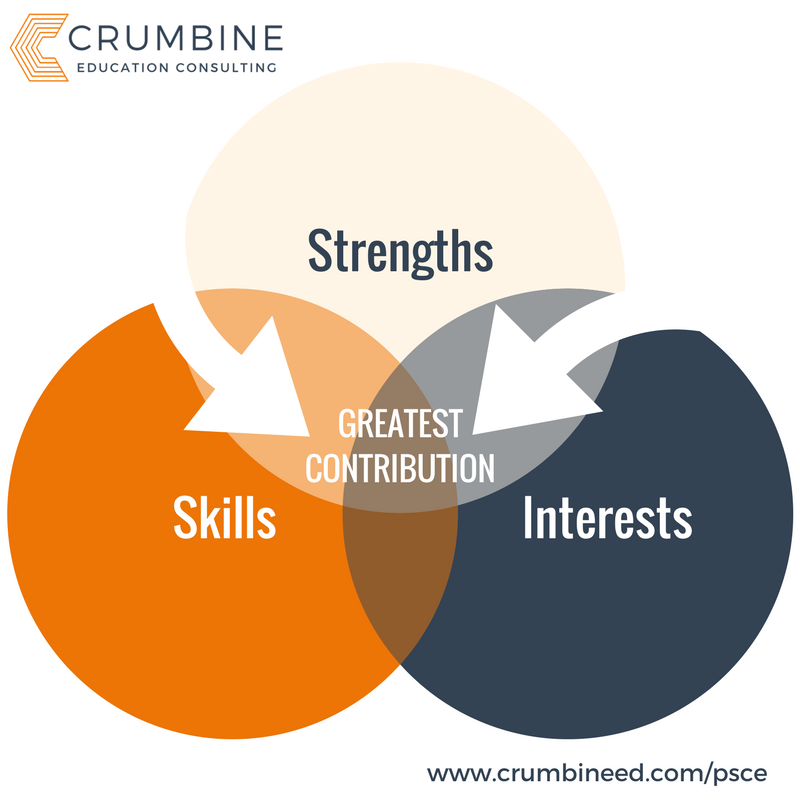 For other skills worth teaching your rising 9th grader, download our Laying the Foundations: 6 Essential Skills for Success.